Vitella. 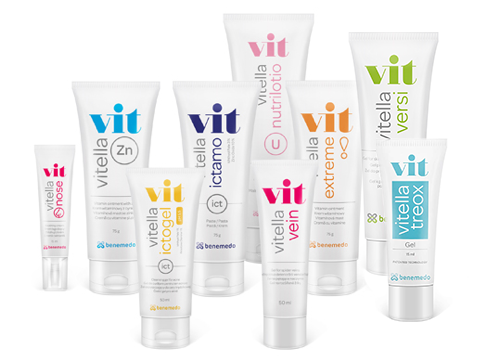 Give your skin vitality and enjoy life. Our range of specially formulated creams, ointments and gels are designed to help you cope with your skin difficulties and regain your skins vitality. Developed in collaboration with dermatologists & paediatricians. Be the first to receive news about our products and services. We won't spam you. You may unsubscribe at anytime.